I missed it the last time it was seen here in 2007. I was not going to miss out this time. On my second visit to the Penampang rice fields to look for it, lady luck and 2 other birding friends made sure I was going to tick this rare migrant. 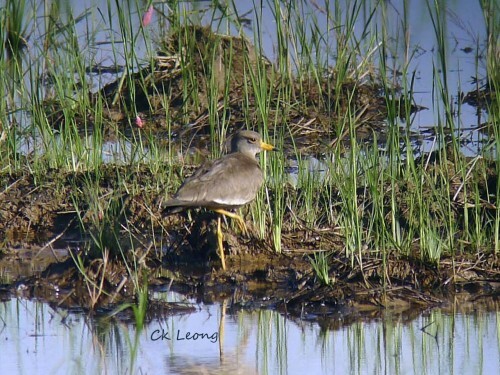 It was solitary, possibly a first year in non-breeding plumage. But it was surely a Grey-headed Lapwing!